Digitimes further reports that "in order to satisfy the huge demand from Apple, TSMC has begun equipment move-in for the phase-5 facility of its 12-inch fab â??¦. Fab 14, Phase 5â??¦. [this] facility will be ready for production by the end of 2013, the sources indicated." 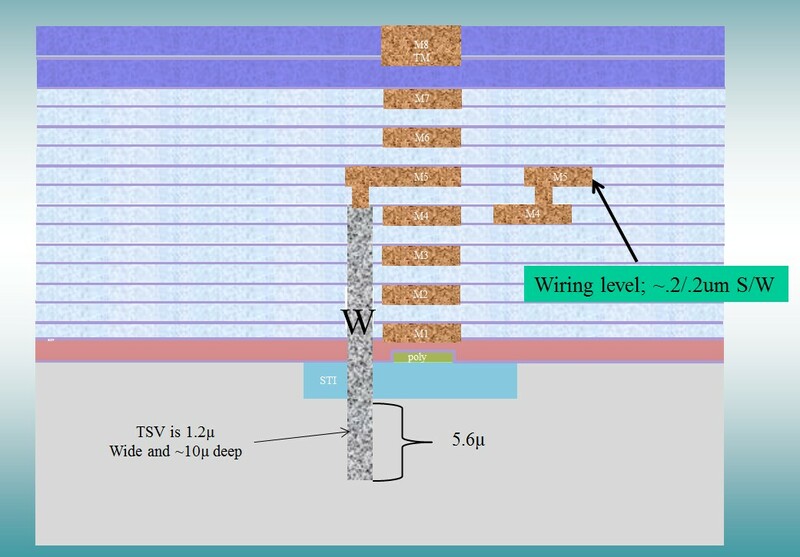 TSMC has previously disclosed that the Fab 14, Phase 5 facility is a 20nm-capable fab, scheduled to begin volume production in early 2014. They further report that Samsung, which produces APs for the existing iPhones, will still manufacture chips for the upcoming model scheduled to be released in the second half of 2013. 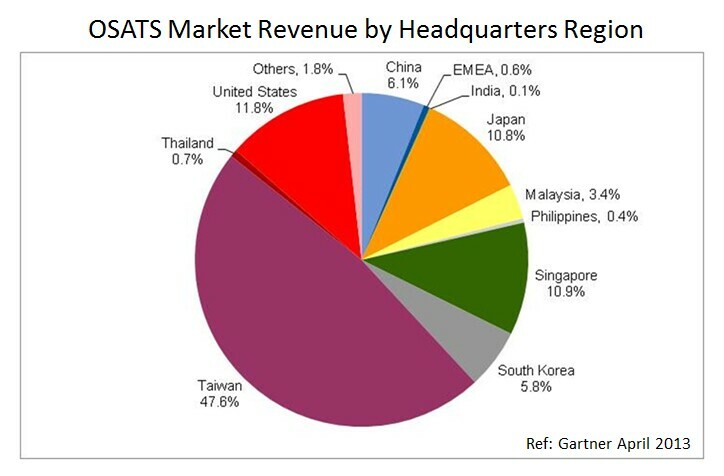 Gartner estimates the worldwide outsourced semiconductor assembly and test services market totaled $24.5 billion in 2012. As shown below ASE remains No. 1, with revenue of $4.4B with packaging accounting for about 80 percent of the company’s total assembly/test/materials revenue. Amkor revenue was $2.8 billion, and SPIL third at $2.2 billion, with 90 percent of the revenue from packaging and 10 percent from test. STATS ChipPAC is fourth with $1.7B. Powertech Technology (PTI) at $1.4B is differentiated from the others in that the majority of its revenue comes from servicing the memory segment of the semiconductor market. As shown below Taiwan currently controls nearly 50 percent of this market, with he next largest players, USA, Japan and Singapore far behind at about 10 percent each. 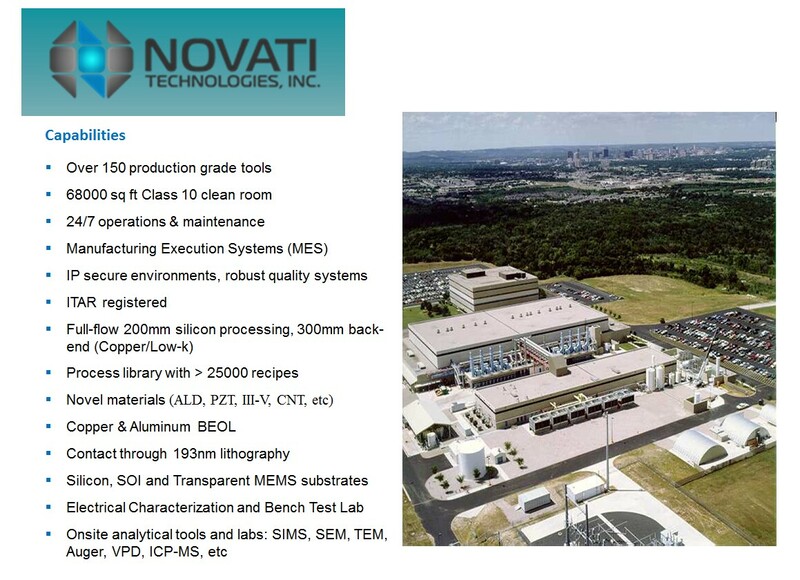 Bob Patti of Tezzaron, a 3D industry leader for more than a decade recently gave a presentation explaining their acquisition of what is now called Novati. 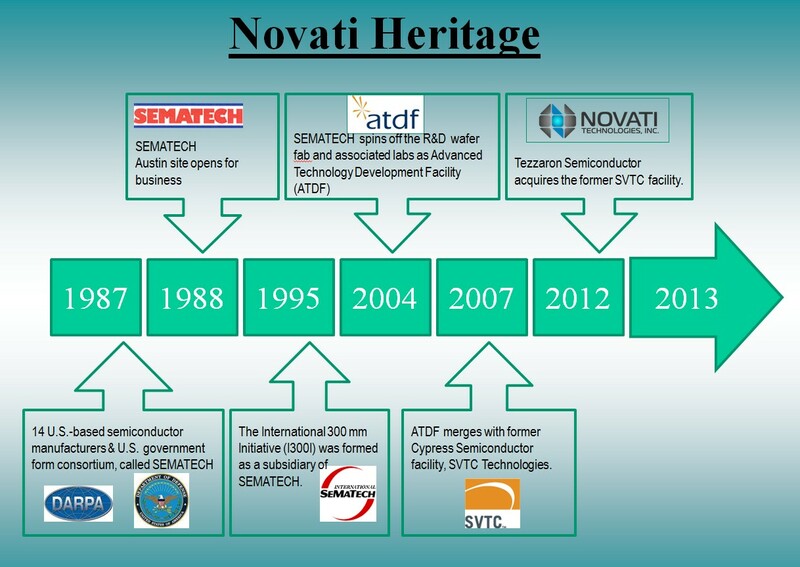 Many of you may know that this was the former Sematech Austin fab which over the years morphed, was merged with Cyprus Semiconductor emerging as SVTC and now has been sold to Tezzaron. This is shown in the slide below. Their plan is to be a foundry for 2.5D interposers as well as 3D stacking. IFTLE will be keeping an eye on their future activities. For all the latest in 3DIC and advanced packaging, stay linked to IFTLE.